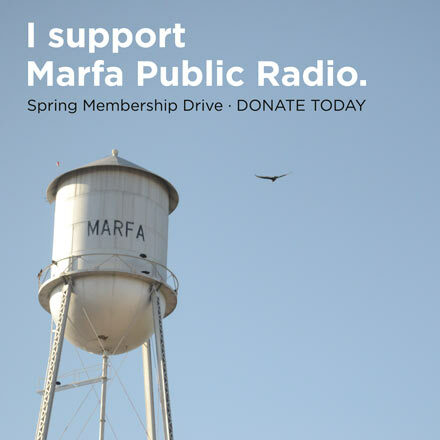 For this episode, Nature Notes is teaming up with “West Texas Wonders” – a new reporting series where listeners ask questions and Marfa Public Radio finds answers. JD DiFabbio of Marfa asks, “What’s the current population of horny toads in Marfa?” Another listener asks if horny toads are endangered, and another if horny toads depend on ants for their diet. It’s no surprise they’re the subject listeners ask about most. Short in stature, horny toads are long in charisma. They’re the Texas state reptile. But what do we know about this Texas icon? Plump, armored, they’ve inspired multiple names. “Horny toad.” “Horned frog.” “Horned lizard” is the official common name. Andy Gluesenkamp leads research and conservation at the San Antonio Zoo. Horned lizards are a focus. The Texas horned lizard – Phrynosoma cornutum – once flourished across the state. It’s vanished from half its range, including the areas – from I-35 east – where most Texans live. Understanding the lizard’s decline requires understanding its ecological niche. Horny toads are opportunistic eaters. Grasshoppers and beetles are fair game. But they specialize in ants and termites. This accounts for the lizard’s distinctive features. Ants are low in nutrition – they must be eaten in bulk. That requires a very large stomach. Hence the horny toad’s tank-like appearance – “a little pancake with legs,” Gluesenkamp says. 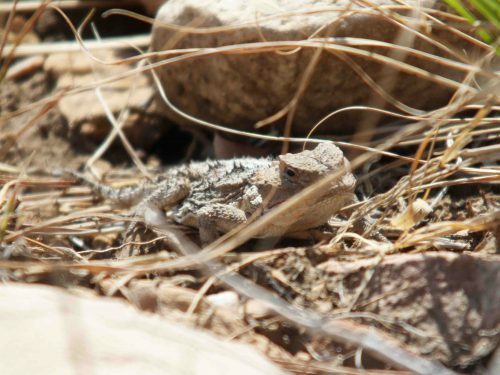 It’s the charm of a horned lizard encounter. You overlook it, then do a double-take. But once you spot it, you can often crouch and look it in the eye before it flees. Horny toads have a famous last line of defense: squirting blood from their eyes. It’s effective against coyotes and foxes, who find the taste noxious. Multiple factors drove the animals’ decline. In the 50s, DDT was used to exterminate harvester ants – decimating the lizard’s food supply. Habitat vanished for urban development. Collection – and export – was an issue. The spread of non-native fire ants was once blamed – but Gluesenkamp says it was not a major factor. In West Texas, we’re fortunate. Texas horned lizards endure. And – we have two species not found elsewhere in Texas. There’s the mountain short-horned lizard, which, as its name suggests, inhabits high elevations – like the Davis and Guadalupe mountains. Unlike other Texas species, it births live young. There’s the round-tailed horned lizard, found in grasslands and deserts. Variable in color, it’s a master of camouflage. At the zoo, Gluesenkamp is leading an effort to reintroduce horny toads to their former range. His team is building a “lizard factory” – breeding lizards in captivity. They’re seeking suitable habitat – with ample harvester ants, and the “mosaic” of open space and brush horny toads need. They hope to develop a methodology others can adopt, to restore this beloved Texas animal. It’s impossible to know how many of these elusive creatures live in Marfa – or in West Texas as a whole. But we can count ourselves lucky that, unlike most Texans, we can still meet them.